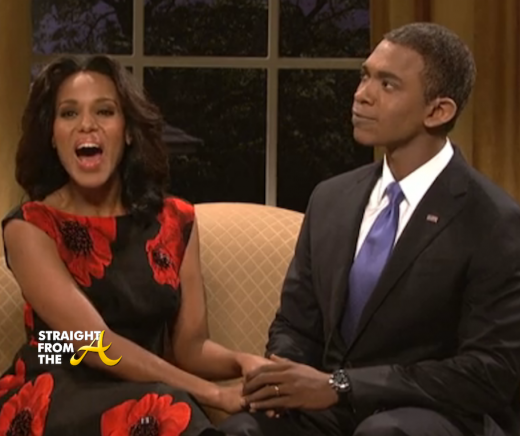 Kerry Washington of #Scandal Expecting 2nd Child!! Will Shonda Rhimes Write Pregnancy Into The Script? It’s official!! Kerry Washington, the woman who made brought Oliva Pope to the small screen, is pregnant with her 2nd child! While fans are basking in the glow of Washington’s feel good moment, Scandal observers are taking bets on how her baby bump will fit in to the show. Kerry Washington was spotted in NYC as she headed to the set of Good Morning America. The popular actress, who plays Oliva Pope on ABC’s top rated show ‘SCANDAL,’ has hit the promo trail in anticipation of the Season 3 premiere of the show. Washington reprises her role as D.C. crisis manager Olivia Pope, wearer of the District’s most immaculate wardrobe, tonight (October 3, 2013) and bets are on as to the “scandal” of this week’s premiere episode.